Join us Thursday, April 4th, 2019, for a lunchtime lecture with Gunnar Björnsson entitled “Ways to be Implicated”. An agent can be morally implicated in a harm even though the harm would have occurred without that agent’s contribution. Some such cases of agential redundancy seem to be well understood if we take blameworthiness to require, not that the agent controlled whether harm happens, but that the harm happened because of the agent, explained by the agent’s lack of regard for what is morally important, say. Causal-explanatory relations famously do not require counterfactual dependence. The idea that blameworthiness for an outcome requires a causal-explanatory relation to that outcome is familiar and promising, but encounters problems with a variety of cases of collective harm and complicity. For example, a great many people share blame for the current level of climate threat, but we can’t say of each of them that the threat level is what it is because that person didn’t care enough. Likewise, when an addict gets the drug with which he ODs from one of several available dealers that would have supplied him with the very same drug had he asked them, it seems that the dealer shares at least some blame for the outcome, but it seems problematic to say that the addict’s life was ruined because of this dealer’s willingness to provide the drugs. Generally, as a range of cases show, switching a harmful process from one track to another that leads to the same outcome does not ground causal responsibility for that harm. In this talk, Björnsson argues that both these problem cases can be accounted for without giving up the requirement of a causal-explanatory connection once we recognize that the relevant explanations can invoke the quality of will of a group of individuals. Björnsson has previously defended this idea for collective harm cases; here he argues that it extends to cases where only one member of the group is at all causally involved, and where the harm cannot be said to have happened because of that member. 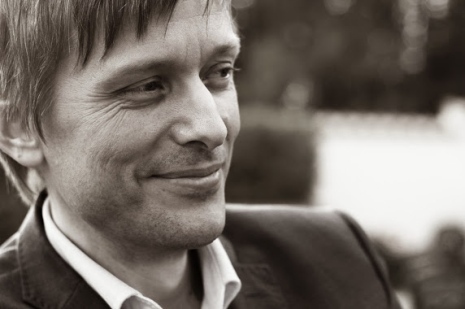 Gunnar Björnsson is Professor of Practical Philosophy at Stockholm University. He works on issues in metaethics, moral responsibility, collective moral agency, and philosophy of language, with recent work appearing in, among other places, Mind, Noûs, Ethics, and Philosophy and Phenomenological Research. 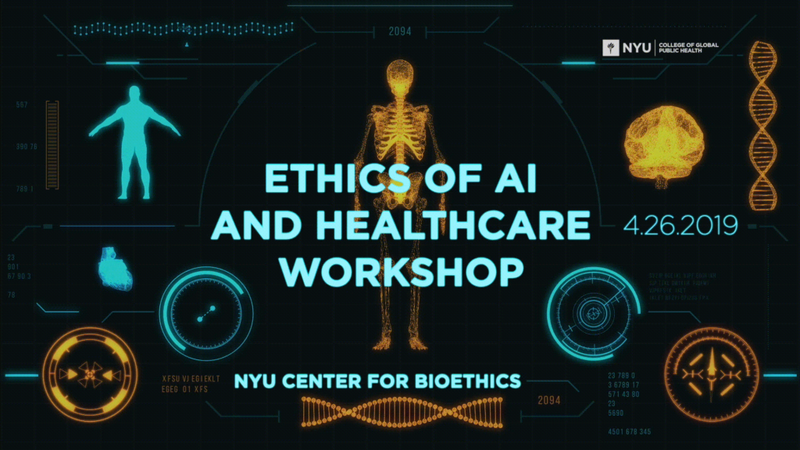 On April 26, 2019, the NYU Center for Bioethics will host a workshop on “The Ethics of Artificial Intelligence and Healthcare”. a) Bias in machine learning algorithms has led to discrimination in areas such as criminal sentencing, predictive policing, and hiring decisions. While healthcare poses some similar dangers, it often presents very different challenges. For example, data from clinical trials can discriminate against women, racial minorities, and the elderly because these groups are less likely to participate in trials, potentially leading to AI algorithms privileging treatment options optimized for specific demographics. If so, what are some ways to minimize harmful algorithmic biases specifically in healthcare? b) In a number of contexts such as criminal sentencing, the predictive capacity of AI is not the only metric for success; we must also know how a decision was made in order to be able to explain those decisions. But while explainability may be required in such contexts, is it a necessary requirement for gaining the informed consent of patients? If it is, does the explanation have to include the causal relationship between symptoms and diagnosis/treatment, or can the connection be merely correlational? Does the explanation have to be intelligible to patients, to doctors, or even just to machine learning technicians? If certain diagnoses/treatment tools cannot meet the required standard of explanation, should we revert to more explainable but less predictive machine learning tools? c) As with other applications of AI, realizing the benefits of these technologies in healthcare requires access to the vast quantities of data, raising concerns of data privacy. Respecting patients’ privacy remains one of the core values in health care. At the same time, as AI systems continue to develop, we may need to balance privacy concerns with novel medical innovations that can potentially save many lives. Can machine learning help us achieve both objectives? Or must there inevitably be a tradeoff? Space is limited. Please RSVP to express interest. Priority will be given to those who have demonstrated an interest in the area. Confirmations will follow in coming weeks. Classical models of antisocial behavior propose that violence arises out of a failure of lateral prefrontal cortex (LPFC) to “put the brakes” on aggressive impulses originating in subcortical regions such as the amygdala and striatum. A new, alternative model proposes that LPFC does not directly inhibit aggressive impulses, but instead flexibly modulates the value of aggressive acts via corticostriatal circuits. This mechanism implies that the moral value of actions is flexibly guided by neural representations of social norms. If norms change, so then do the values that guide actions. Supporting this view, re-framing decisions to harm others as being in service of a noble cause eliminated moral preferences. Implications for models of moral responsibility will be discussed. 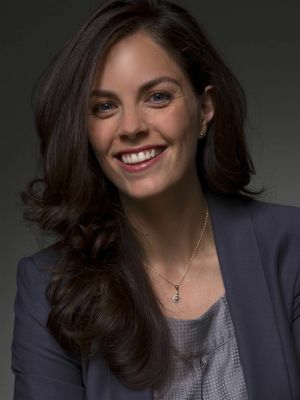 Dr. Molly Crockett is an Assistant Professor of Psychology at Yale University and a Distinguished Research Fellow at the Oxford Centre for Neuroethics. Prior to joining Yale, Dr Crockett was a faculty member at the University of Oxford’s Department of Experimental Psychology and a Fellow of Jesus College. She holds a BSc in Neuroscience from UCLA and a PhD in Experimental Psychology from the University of Cambridge, and completed a Wellcome Trust Postdoctoral Fellowship with economists and neuroscientists at the University of Zürich and University College London. For more, visit here.